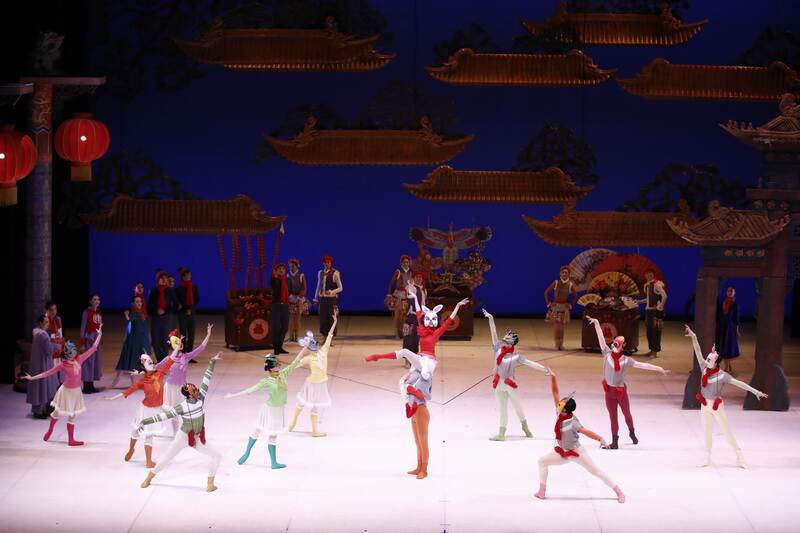 The Nutcracker gets a Chinese New Year makeover. 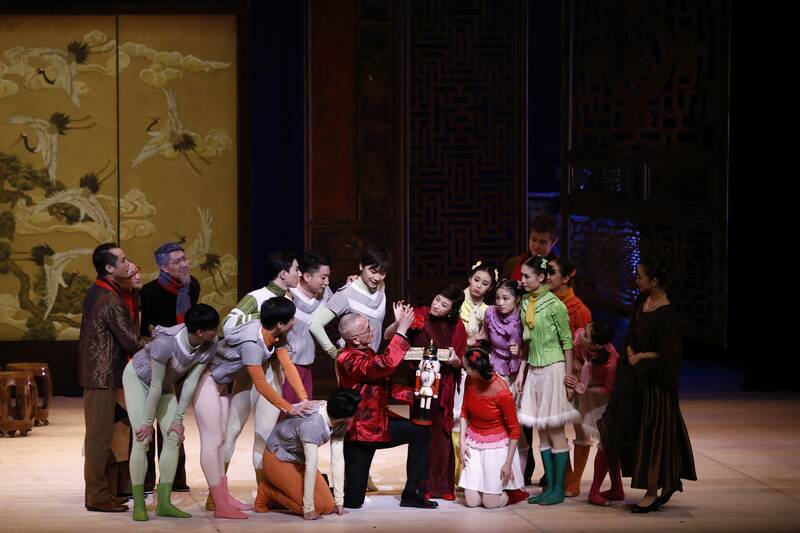 Presented by MyChinaChannel, the National Ballet of China put a Chinese twist on all-time favourite ballet The Nutcracker when it premiered at the Esplanade Theatre last week. Re-titled 过年: The Nutcracker, the traditionally Christmas tale gets an update as its gets a recontextualization, set during Chinese New Year instead of the Yuletide season, while still maintaining Tchaikovsky classic, iconic soundtrack. Yet as odd as this fusion may sound, it’s one that still works, capturing the spirit of the original ballet with its celebratory mood and fantastical dream sequences. From the moment one first enters the Esplanade Theatre, one already sees Chinese lanterns hung onstage, immediately setting the mood for the distinctly Asian show we’re about to witness. Set on a winter’s day at city hall, the set mimicked the cold temperatures hitting China today, along with push carts selling snacks like oversized sticks of ‘bingtang hulu’ (candied hawthorn), a familiar sight in most Chinese cities, while the 12 animals of the Chinese zodiac danced around in the town square. With the setting established, we moved on into the story proper. With Clara now re-christened as Yuan Yuan (Wang Ye), we bear witness to her (white) friend (no longer godfather Drosselmeyer) giving her the gift of a toy nutcracker. Deviating a little from the original, Yuan Yuan’s brother instead expresses jealousy instead of outright breaking the nutcracker, while Yuan Yuan’s friend receives gifts in return – a Chinese pouch, and a regal traditional painting. The Nutcracker affords audiences some surprisingly intimate moments, such as how Yuan Yuan’s friend comes close to the front row to show her how the nutcracker is mechanized, using a lever to leave her in amazement at its engineering. Beyond that, The Nutcracker also attempts to integrate technology such as projection into the show, showing off a montage of family portraits while a new one is being taken in real time. 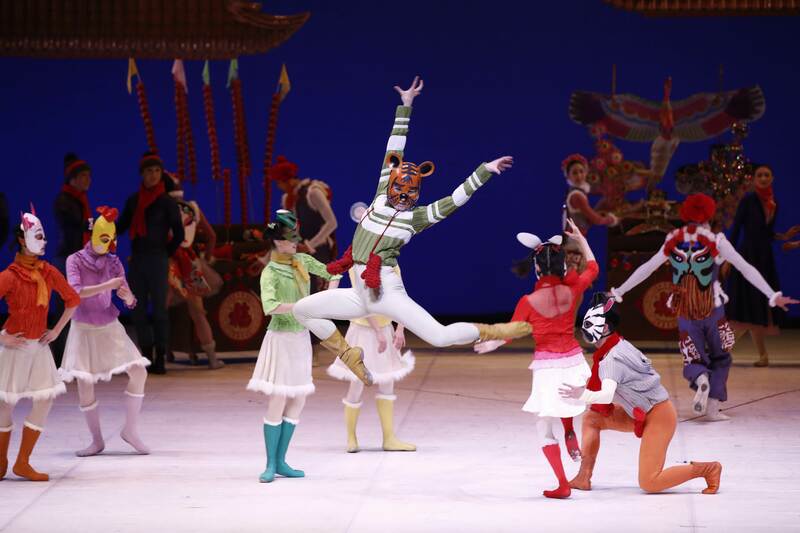 Of course, the most exciting part of The Nutcracker is when we move from the real world into the fantasy one, and this time around, instead of a terrifying mouse king, the Nutcracker (Wu Sicong) faces off against the dragon king as he leads his army of tiger soldiers to victory. Upon their win, the Snow Queen emerges in majestic white, elevated above the ground and reunited with her prince charming. Brand new magical kingdoms have been introduced with this Nutcracker as well, from the Kingdom of Cranes to the Porcelain Kingdom, featuring graceful white cranes and dancers dressed as antique plates and vases, their headpieces resembling the necks of chinoiserie. We see characters from Chinese tradition, such as the ‘boy’ and ‘girl’ characters often seen on red packets during Chinese New Year, or once again, the zodiac animals. One particularly interesting scene even saw a Snake Queen being held up by three male dancers, as she writhed around seductively like a snake, ending the sequence after shedding her costume, like a snake actually moulting. Reaching the more recognizable numbers of The Nutcracker, one realises just how well-integrated these Eastern elements are within the original’s context, certainly jarring at first but surprisingly natural sitting against Tchaikovsky’s score and maintaining the original essence. Towards the finale, one felt the Chinese New Year spirit come out in full force, as we saw a couplet on banners with two lucky kois displayed, while a huge gold ingot was rolled out onstage. When opened up, a bunch of local children emerged as mini ingots, adorably blessing the audience with good fortune for the Lunar New Year. By its end, both prince and princess re-emerge, dressed in traditional white and gold to signify prosperity. One was impressed by the prince in a carefully choreographed number that showed off his moves, and displayed strong stage chemistry with his fellow dancers and en pointe moves. As Yuan Yuan awakens from her dream, she finds herself in bed, clutching the Nutcracker while the family surrounds her to usher in the New Year together, setting the firecrackers alight for a prosperous, rousing start to the new year, their joy and good spirit spreading easily to the entire theatre. 过年: The Nutcracker played at the Esplanade Theatre from 18th to 20th January 2019.